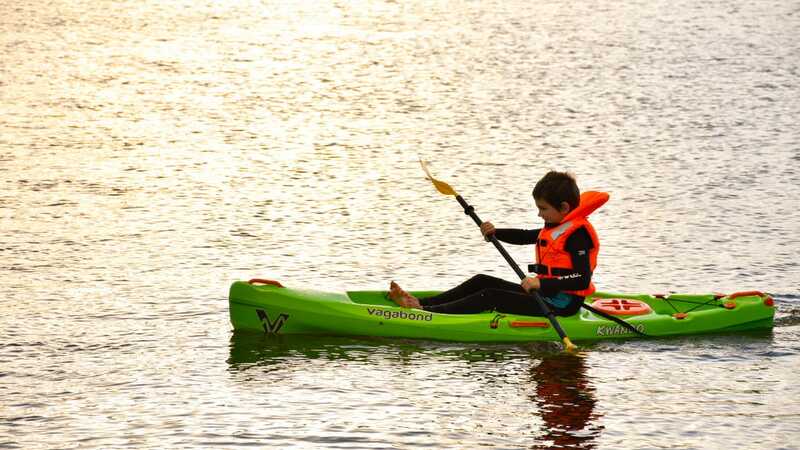 Our children's Kwando is one of the most popular kayaks in our range - and for good reason! 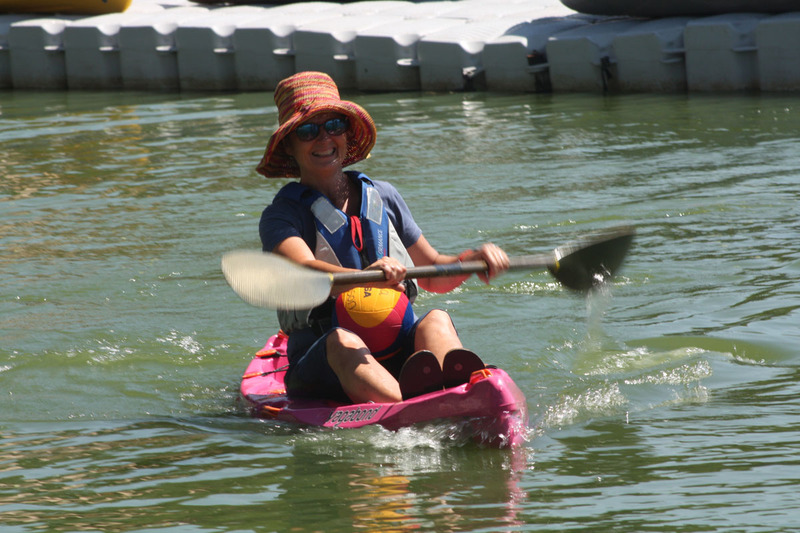 Always remember - "No PFD, no paddle". 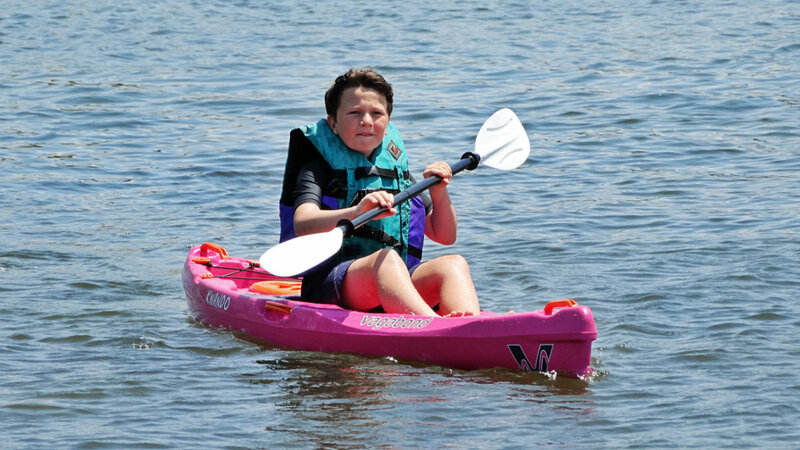 Get children used to wearing PFDs from the start. 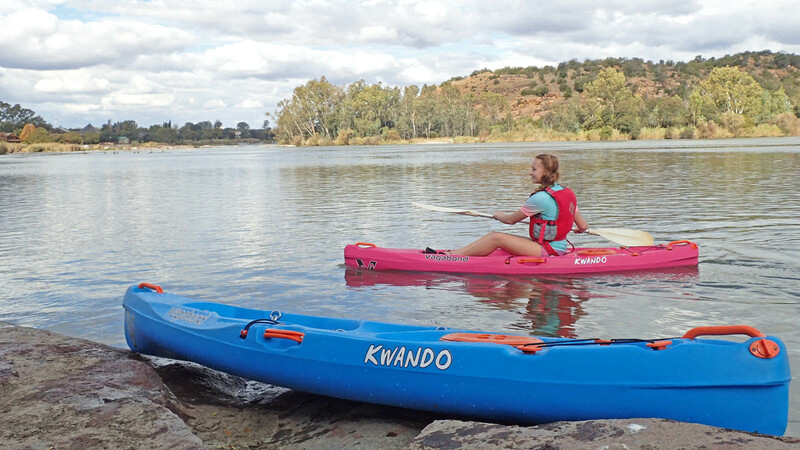 The Kwando is fast and agile - a pleasure to paddle. Children will outgrow the Kwando at around 12-years old or 45kg. 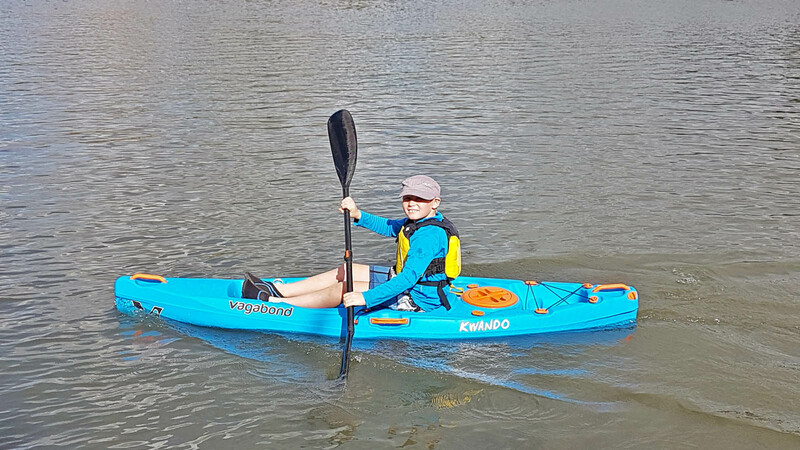 Start your child paddling young and they'll have their Kwando for many years. 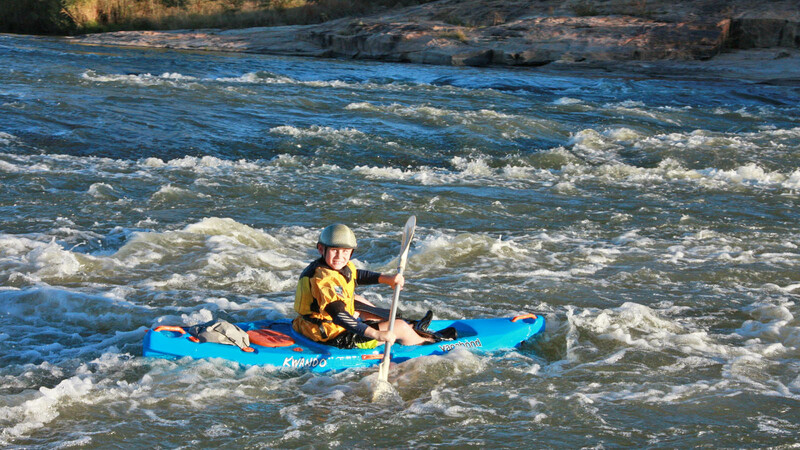 Start your child paddling on flatwater to gain basic paddle skills and techniques before taking them on river trips. 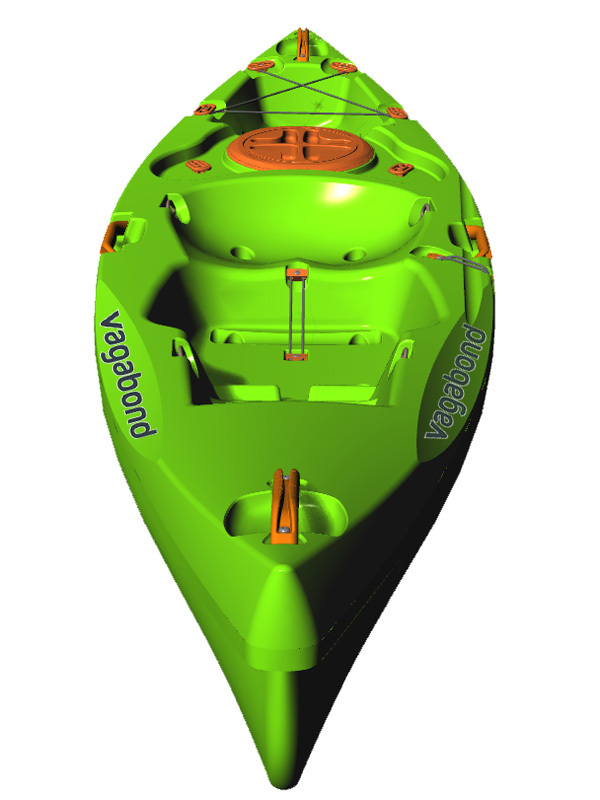 Stow gear in the rear Tankwell and use the Bungee Cord and our Multifit fittings to secure the gear so that it doesn't get washed overboard. Children enjoy carrying their own gear. If there is one thing we're sure of, it is that your child will want more, more, more! 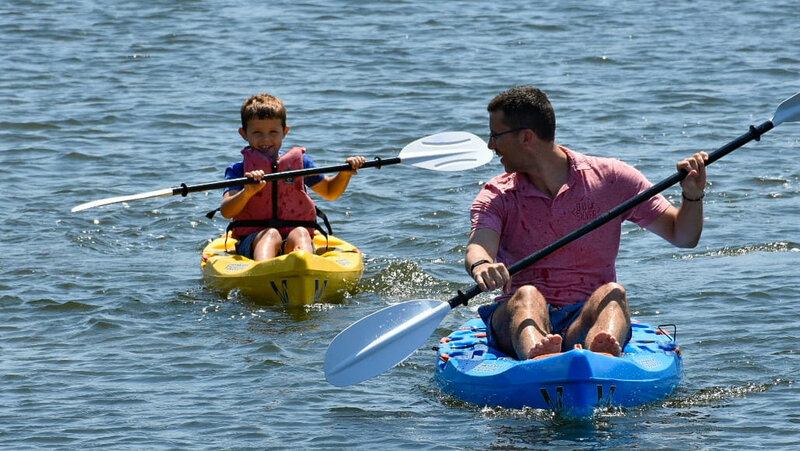 Kwando is not a toy, it is a high-performance kayak for children. 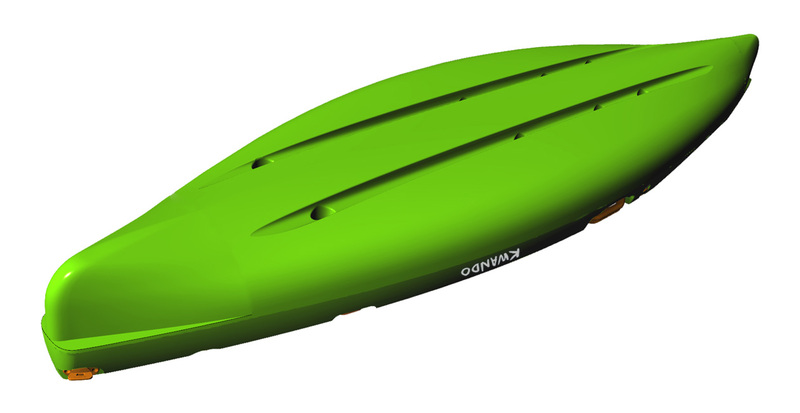 The Stand-Up Platform makes it a breeze to get in and out of the Kwando. 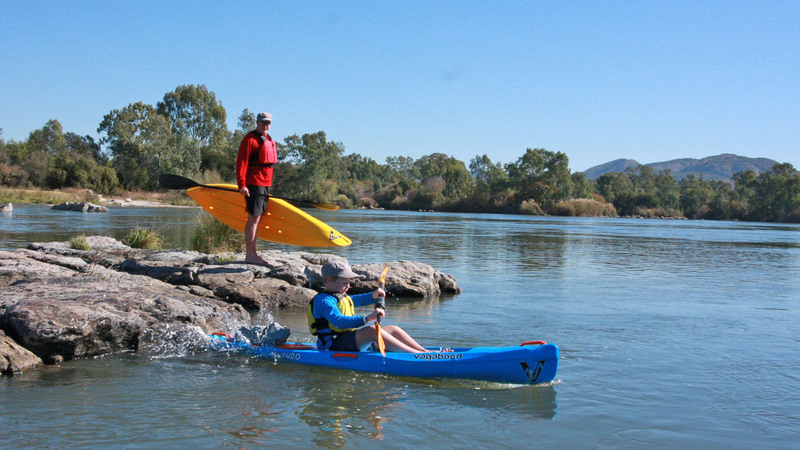 You can also stand to stretch your legs while you're on the water. Family picnic on the river bank. 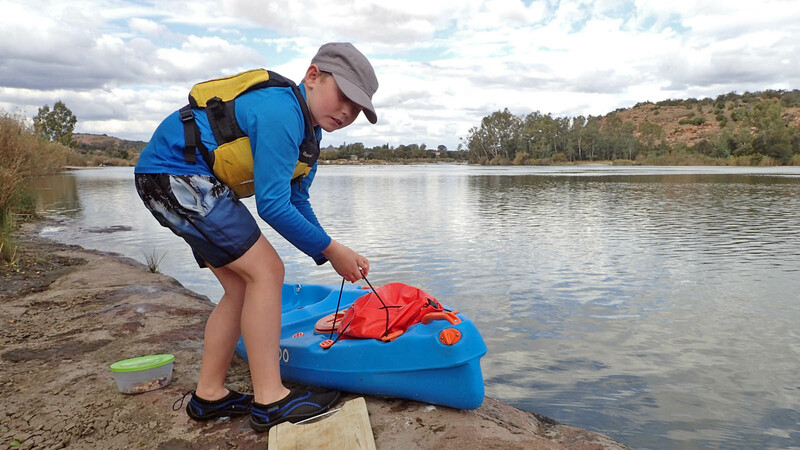 Children enjoy carrying their own gear in the tankwell and screw hatch - especially picnic snacks. The handles positioned on the middle-side of the Kwando makes it easy for an adult to carry it like a suitcase. 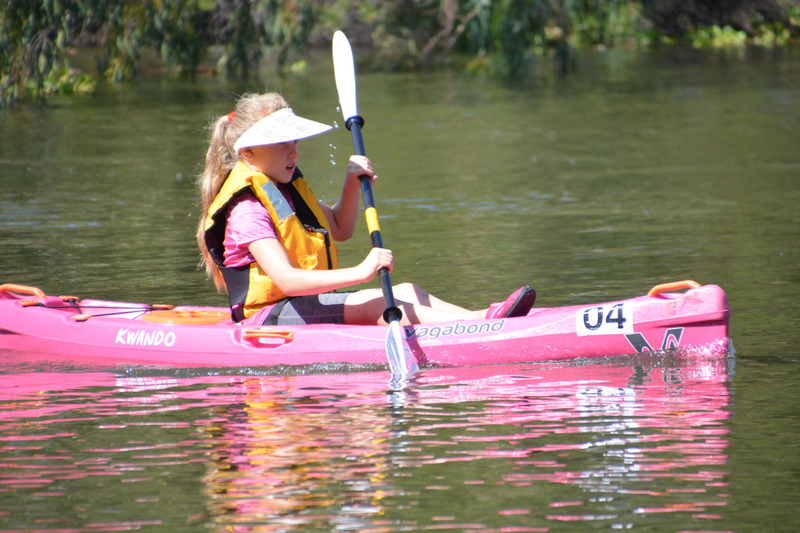 Get your child into paddling with our Kwando children's kayak. Ideal for ages 4 to 12. 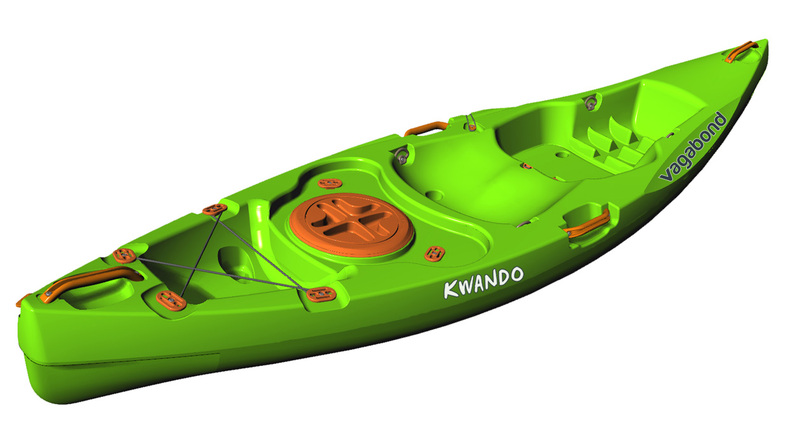 The Kwando is designed for children up to the age of 12 (or 45kg). 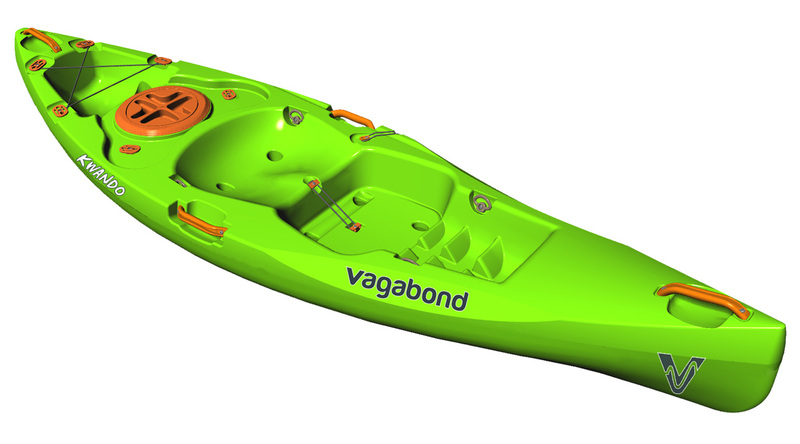 We recommend a maximum paddler weight of 45kg. 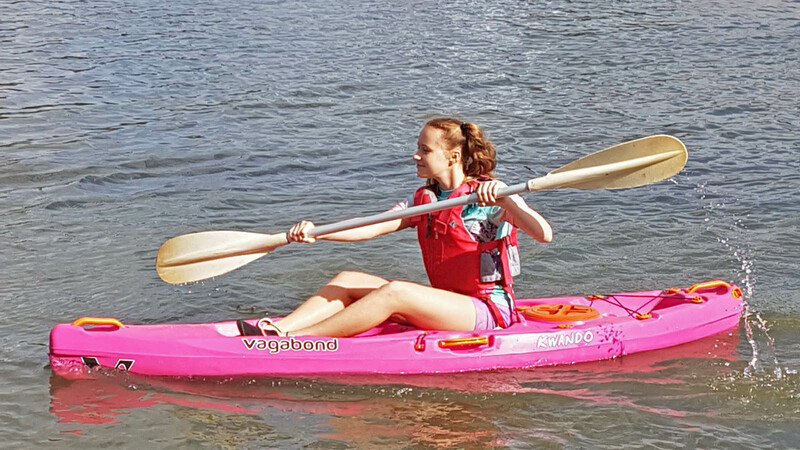 Here we have a Nicola paddling a Kwando. Let's just say she is over 45kg... 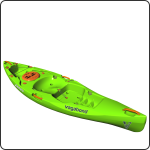 While the kayak will still float, too much weight does create instability. 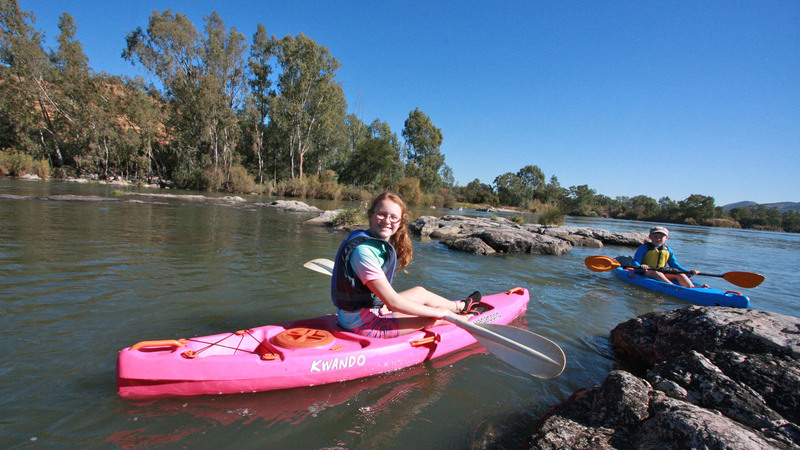 The Kwando has decent speed, which makes paddling with children an enjoyable activity for parents. 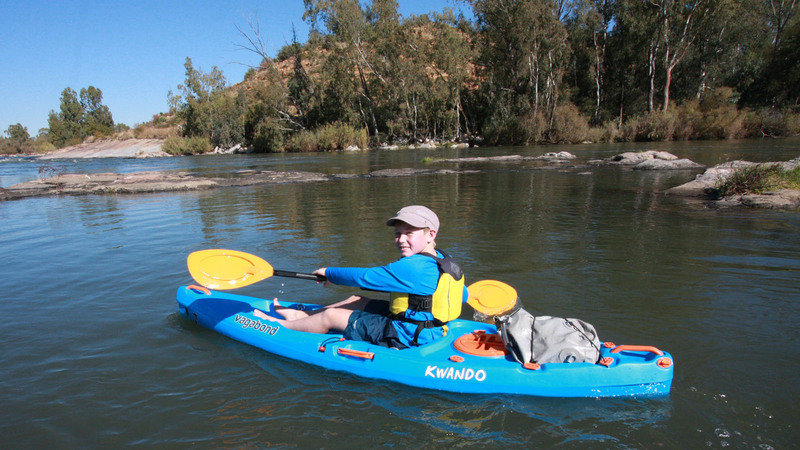 The Kwando is fast, agile and a superb kayak to paddle. 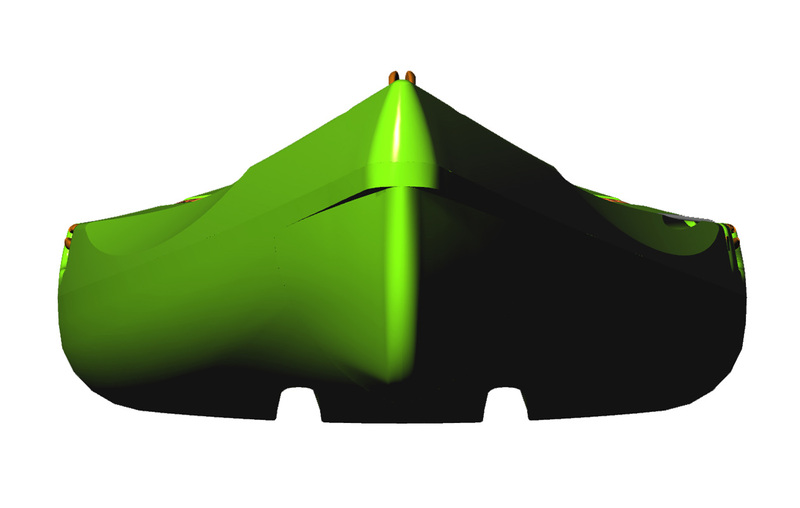 Side profile of the Kwando. 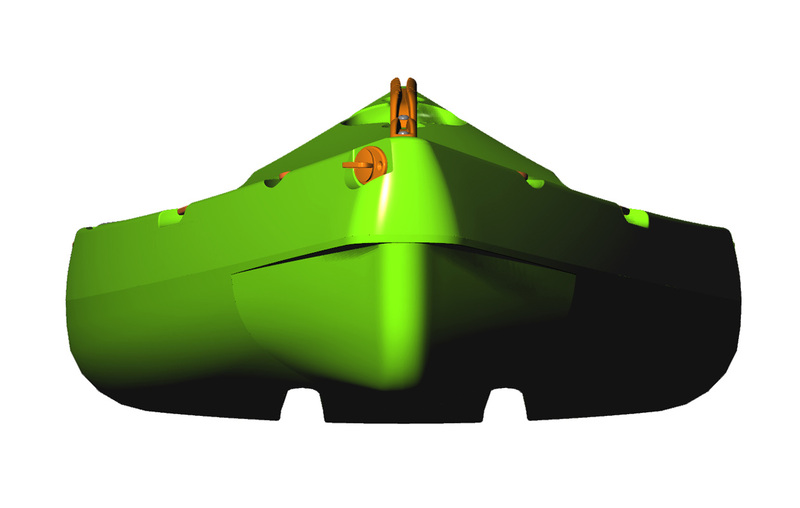 Kwando: view of the bow. 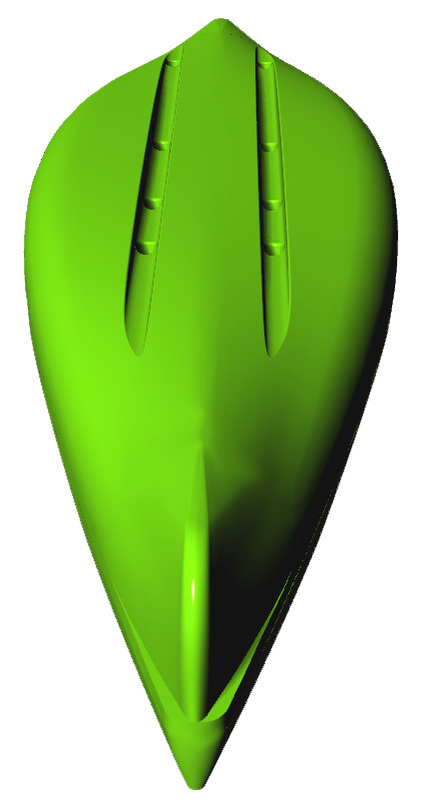 The moulded-in footrests of the Kwando can accommodate growing children. They love standing up on the stand-up platform in front of the seat. 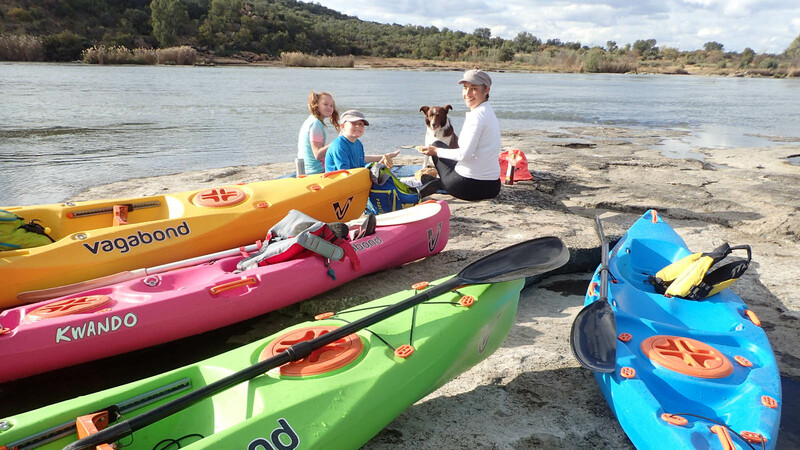 The rear tankwell and screw hatch make it possible for young adventurers to enjoy overnight trips, carrying their own gear on their Kwando. Scupper holes drain water from the deck of the Kwando. Kwando: view of the deck from the side. Kwando: view of the stern. Kwando: view of the deck from the stern. 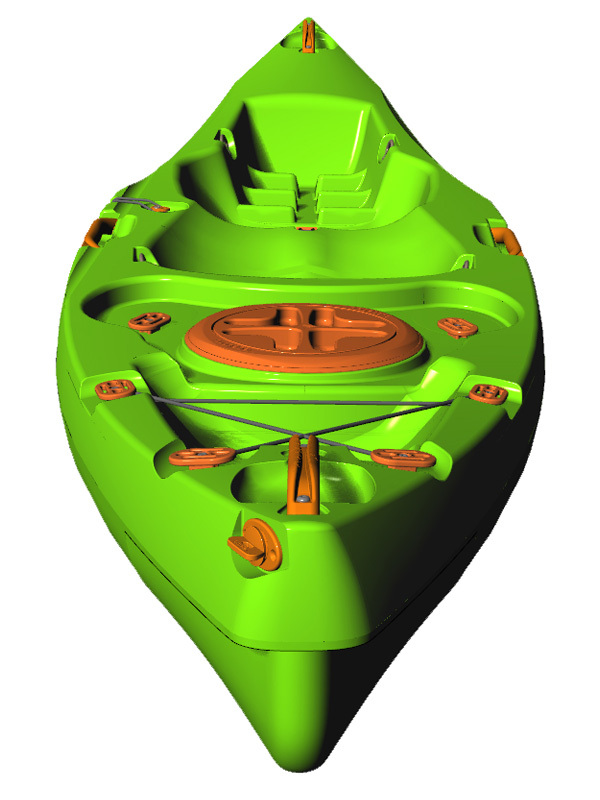 Kwando: view of the hull from the stern side. Kwando: view of the deck from the side of the stern.